There are special places on this earth that aren’t marked by giant signs, there’s no neon involved or fancy marketing, they just quietly exist. These are the places I live to uncover. This is where enchantment lives, where it originates. Little wellsprings of wonder bubbling up only once in a while and when the bubbles pop, tiny bits of enchantment are sent out. If you’re distracted you won’t recognize them, you may even bat them away or sneeze. But if you can become very still, open to possibility, you’ll feel a nudge or hear a call or see a way and you too can find them. This is one of those places. A bio-dynamic vineyard placed perfectly between the Mediterranean Sea and the Apennine mountains in Tuscany, creating the perfect environment for rich growing soil. We were led here by someone who had been here once before. 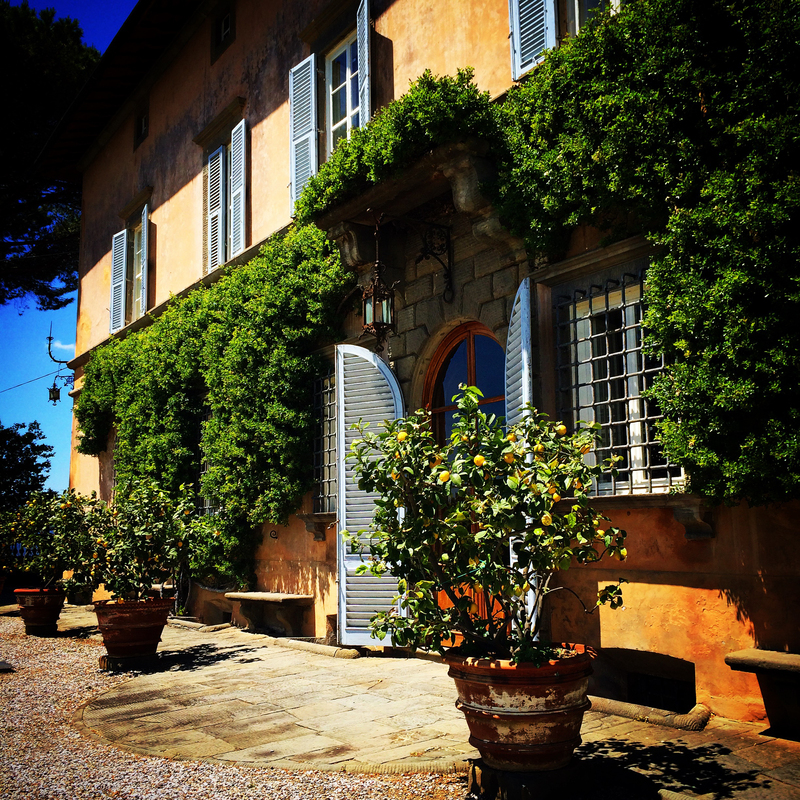 We drove through the hilly picturesque countryside of Tuscany, admiring the tall Italian Cypress trees that lined long driveways bookended by a clay tile roof estate on one end and an impressive iron gate on the other. Sometimes we’d stop to take pictures, but the camera could never quite capture the majesty of what we were seeing so instead we would just stand, slowing rotating to drink in all we could in hopes of conjuring it later. We got lost. These magical places have a way of ensuring your resolve to find them. Our intention was clear and so with a few reroutes on our navigation system we eventually found ourselves ambling down a pebbled nondescript driveway. The magic of this place would reveal itself slowly, with great care, like restoring an old master’s painting. At first glance, if you missed the sparkle here or shimmer there, you may decide to grab a couple bottles of whatever wine and get back on the road. But, oh, the joys you would deprive yourself of. Cow horns in the earth, a giant head atop it, food laced with love, wine made by the gods and a few saints masquerading as dogs…. stay tuned.